AmericanMuscle Celebrates 10th Anniversary with $100,000+ Giveaway: 2017 Ford Raptor, Supercharged S550 Mustang, Race Trailer & Track Day Essentials! 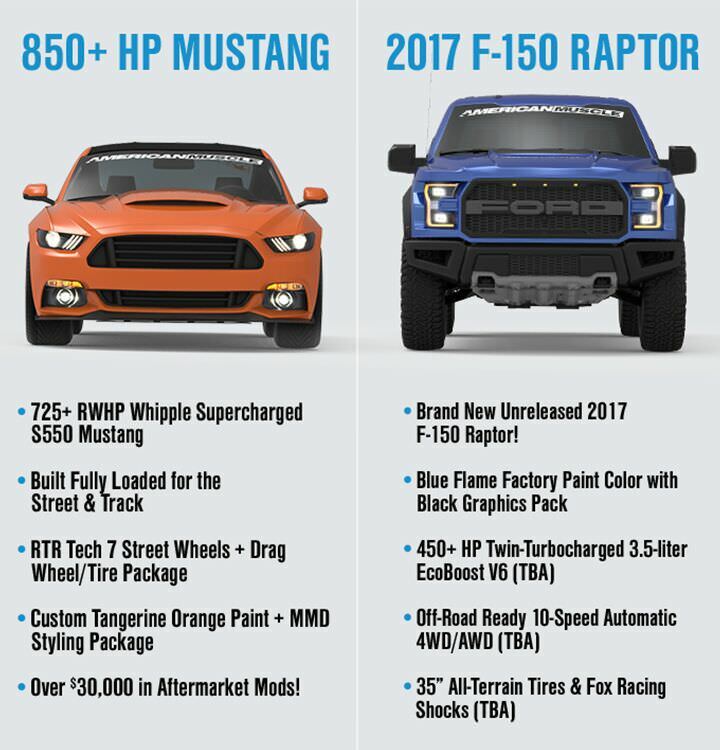 MALVERN, Pa. (April 26, 2016) – AmericanMuscle.com, the leading aftermarket Mustang parts supplier, today unveiled a supercharged sweepstakes to celebrate 10 years of providing an unparalleled experience for Mustang, and now, F-150 owners, looking to customize their rides. 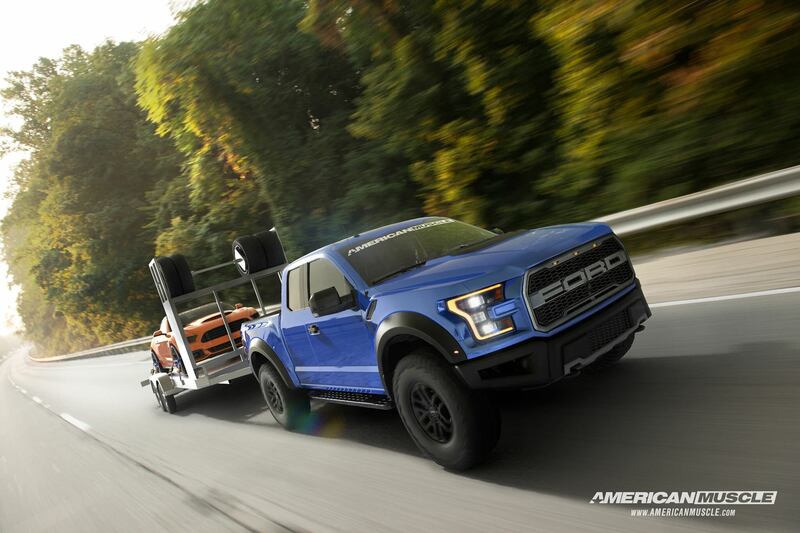 Marking a decade of supporting owners building their dreams, AmericanMuscle is giving away over $100K in prizes including a 2017 Ford Raptor, 850+ HP S550 Mustang GT and a custom race trailer stocked with everything you’ll need for the track. Enter weekly at: http://www.americanmuscle.com/2017-raptor-2015-mustang-sweepstakes.html. An 850+ HP Mustang built by the AmericanMuscle crew will turn heads with $30K in custom modifications from the team who knows Mustang Street & Strip performance and style better than any. Standouts include a Whipple Supercharger, full MMD styling package, all wrapped in an eye popping Tangerine Orange paint job, an ode to a factory color only ever used on 829 Mustangs. The yet-to-be-released 2017 Ford Raptor is an attention grabber in its own right. The second generation of one of the boldest trucks to hit the streets, rumored at 450+ horsepower, the 2017 F-150 Raptor will certainly demonstrate the true potential of the recently refreshed F-150 platform. The redesigned Raptor features a Terrain Management System with six preset easy-to-use off-road drive-assist modes including Normal, Street, Weather, Mud and Sand, Baja and Rock, making it the ultimate truck comfortable in any terrain. Today’s contest kick-off represents an important 10-year milestone for AmericanMuscle. To celebrate this achievement and give back to the company’s fans, founders Andrew and Steve Voudouris felt only an over-the-top dream package would suffice. For 10 years, AmericanMuscle has offered the best option for Mustang, and now, F-150 owners, to modify their vehicles. 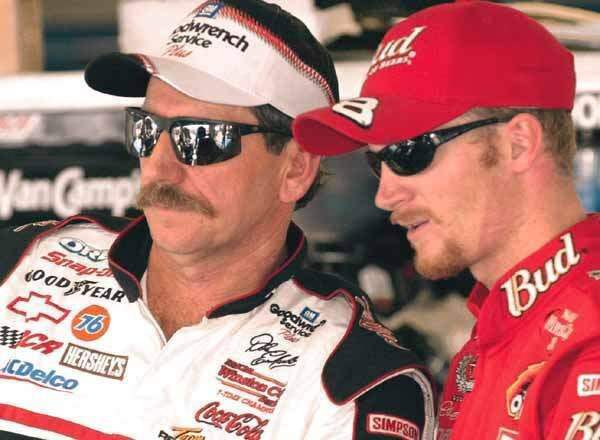 At the heart of AmericanMuscle, they’re a company that is passionate about providing the best way for Mustang and F-150 owners to enjoy taking their vehicles to the next level. Starting today and through November 11, 2016, fans can enter online up to once a week to win the supercharged prize package. Must be 18 or older to enter and a legal resident of the United States and District of Columbia or Canada. For more information about the sweepstakes, please visit: http://www.americanmuscle.com/2017-raptor-2015-mustang-sweepstakes.html. AmericanMuscle.com offers a full array of Mustang and F-150 parts to customize your vehicle for the best driving experience possible. Headquartered in Malvern, PA, AmericanMuscle’s staff of over 300 and 300,000+ sq. ft. facility makes it possible to deliver on their mission of offering expert assistance and a great selection of finely tuned products to meet every Mustang and F-150 owner’s need. With over 10 years of experience as a leader in aftermarket Mustang, and now F-150 parts, AmericanMuscle is dedicated to make it easy to find the products you need.